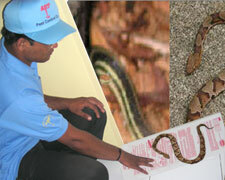 Pest Control, Pest Control in surat, mosquito control anti larval treatment, rodent control treatment, powder post beetlestreatment, anti termite treatment :: ARP Pest Control Co. :: Surat :: Gujarat :: India. We are doing this treatment by gining injections where there is a problem, while in new furniture we are doing this treatment by doing spray on both sides of the Ply. We are giving 05 years service Guarantee for this treatment. 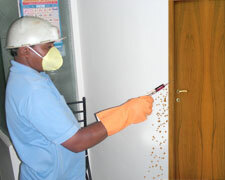 We shall carryout SPRAY TREATMENT in personal Kitchen, Bathroom, Drainage's, WC's, Washing area, Stores, Garbage Area and Dinning area for insects like Cockroaches, Ants, Bed Bugs. Etc. To eradicate this problem we not only contact direct insects but also locate the nooks, holes, corners, junctions to destroy the eggs so as to prevent re-infestation for a long duration. We are doing this treatment both in Per. & Post Construction stages with a service Guarantee of 10 years for Pre .Const. & 05 years Po st.-Const. 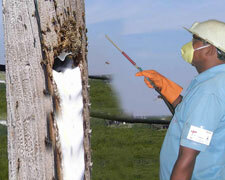 We also takes AMC for HONEY BEE REMOVAL in INDUSTRIAL AREA only. 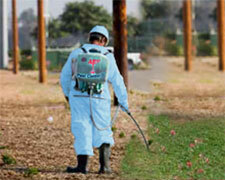 We are doing this treatment Dusting outside in periphery of the building and Fumigation in Burrows. We are doing this treatment by spraying chemical on unwanted jungli GRASS, within one week the grass will dry out up to root.